Maybe it's the end of summer and the back-to-school schedule that has me hungering for meals with fresh ingredients without a bunch of work. Sometimes, I'll walk the produce section at the grocery store and pick up whatever sounds good at the time, cut it up, throw it together and add a simple vinigarette and that's dinner! - or lunch. 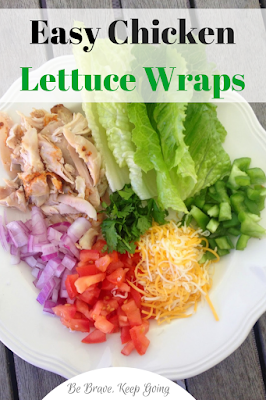 Since I had just had salad the night before, I decided to make these easy cilantro chicken lettuce wraps. oops forgot to add the cilantro! 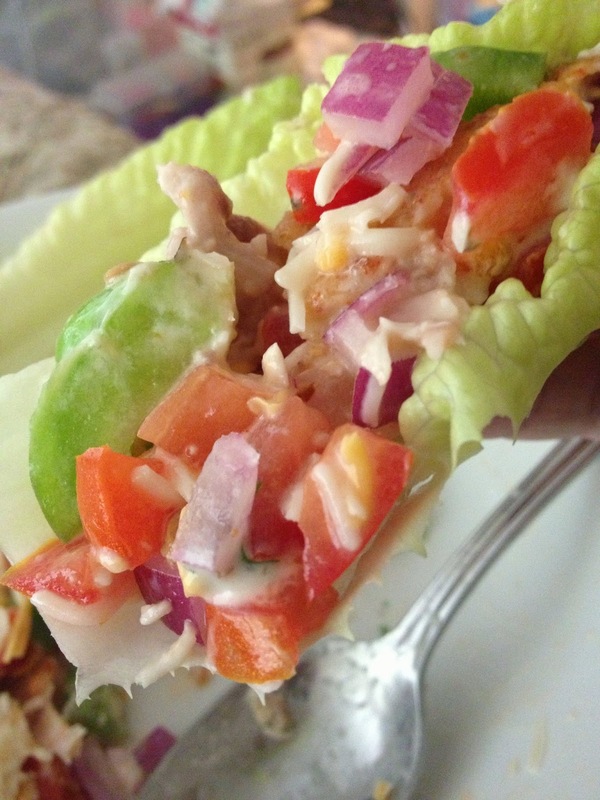 *Mix all ingredients and spoon inside halved Romaine lettuce leaves. 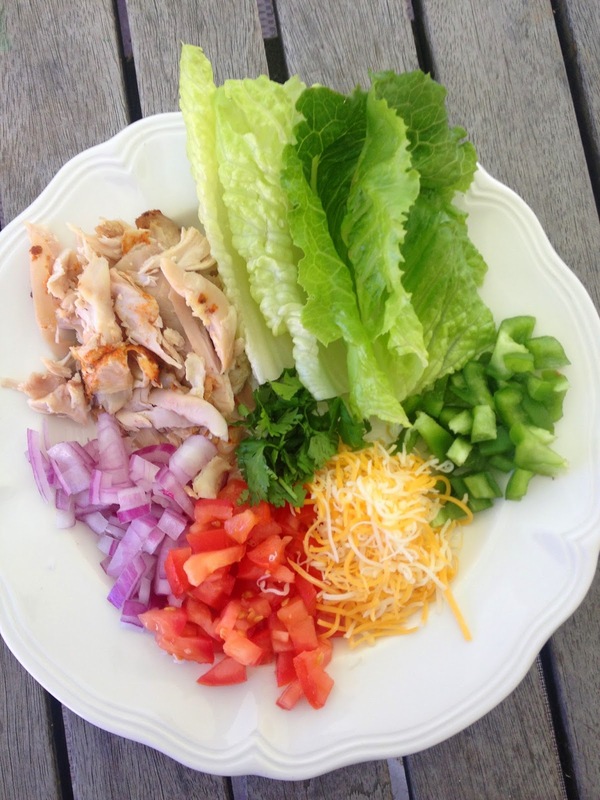 Lettuce wraps are such a great option if you are trying cut carbs or go gluten free. Pretty much, anything you can put in a sandwich, you can put in a wrap. I have romaine lettuce in my wrap recipe, but big butter leaf lettuce is also delicious. 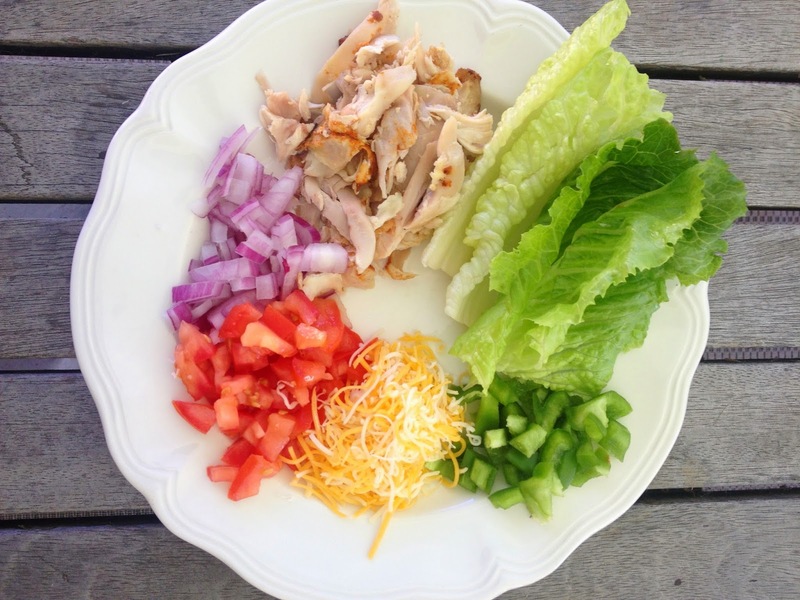 What about you, do you love lettuce wraps?